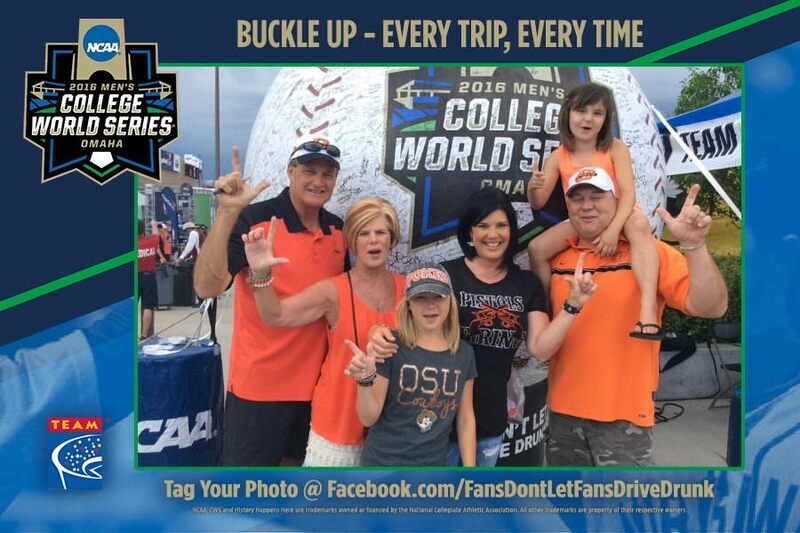 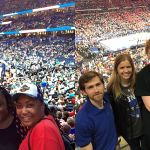 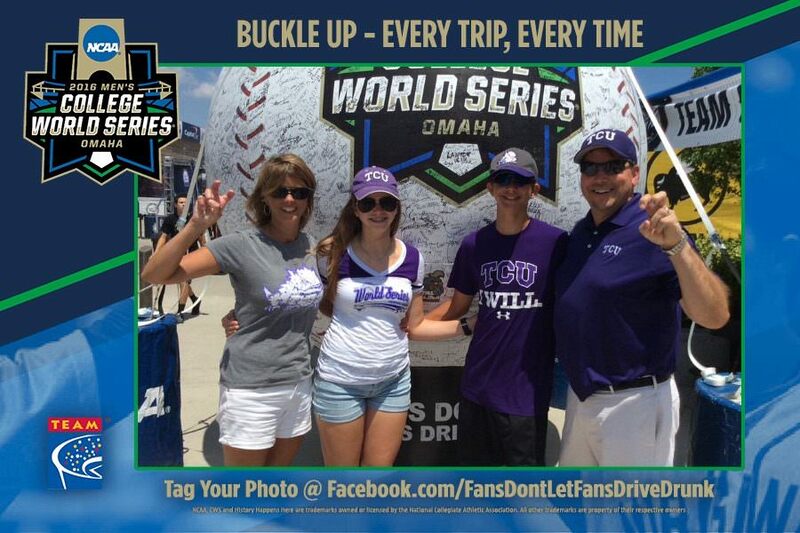 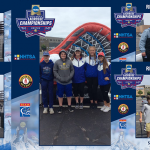 Fans from all over the country gathered to watch eight teams – Florida Gators, Miami Hurricanes, Texas Tech Red Raiders, Oklahoma State Cowboys, TCU Horned Frogs, UCSB Gauchos, Coastal Carolina Chanticleers and Arizona Wildcats – compete for a national championship. 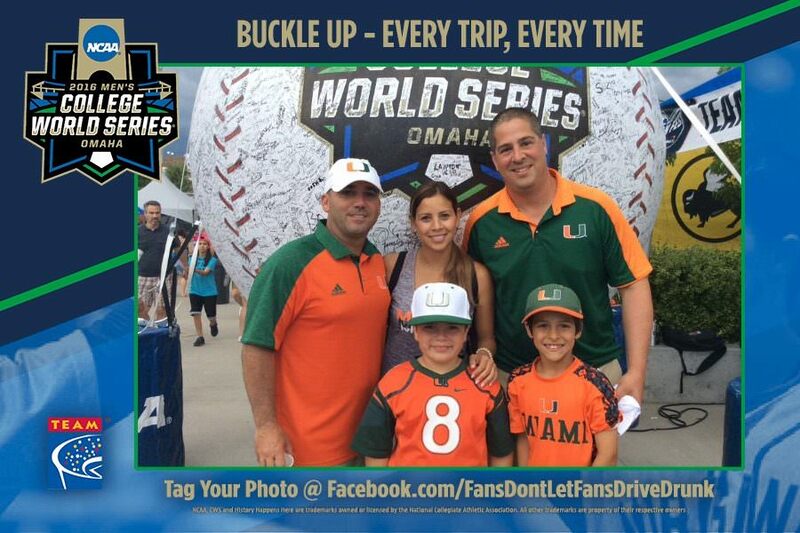 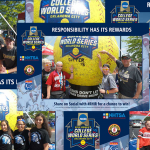 425 pictures were taken of 985 smiling fans in front of the inflatable baseball. 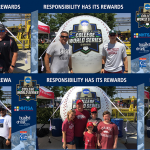 Well over 1,000 college baseball fans took time to make the responsibility pledge and autograph the baseball while enjoying the pre-game festivities at MCWS Fan Fest.